Are You Curious What This TLV Is About? "A sense of curiosity is nature's original school of education." Did the email subject of this month's TLV make you curious? If so, the type of curiosity that drove you to open this email is called "diversive" curiosity. It is the type of curiosity that causes you to be hungry for the novel, to seek out a new experience or bit of information, where some degree of insight might be gained. It's what drives you to click on an intriguing headline or to watch an entire season of "House of Cards" in one day. In it of itself, it's a simpler, more limited form of curiosity. Diversive curiosity's more mature, sophisticated sibling is "epistemic" curiosity. By adding effort, self-discipline and focus to diversive curiosity, you get epistemic curiosity and a lifelong quest for learning. Epistemic curiosity has been called one of the best predictors of academic achievement and determines a person's ability to thrive with non-routine (read: higher paying) work. It's also a prerequisite to lifelong growth. Throughout history, curiosity has at times gotten a bad rap. Aristotle and Cicero equated curiosity with a passion for learning. But in terms of historical consequence, curiosity would soon get co-opted by the church as something that was up to no good. After all, it was curiosity that caused Eve to eat the apple. In The Confessions of St. Augustine, a thirteen-book account that St. Augustine wrote, from AD 397 to AD 398, of his sinful youth and conversion to Christianity, he speaks of the "disease of curiosity." In short, curiosity was the pursuit of knowing things, and knowledge was nobody's business but God's; to seek knowledge was the sinful attempt to be like God. It is thought that The Confessions of St. Augustine was at least one culprit behind the church's centuries-long condemnation of curiosity and its pull for knowledge. In 1605, Francis Bacon, credited with creating the scientific method, published The Advancement of Learning, a treatise on learning's ability to improve the state of the human condition and man's morality. Despite being placed on the Catholic Church's Index of Prohibited Books, Bacon's book helped free curiosity from the shackles of religion and punishment. In the book, Bacon emphasized that religion and science should be kept separate and declared that since God created the physical world, it is a legitimate object of curiosity and learning. It's no coincidence that the Age of Enlightenment, and then centuries of the most profound and rapid virtuous cycle of advancements that the world had ever seen, followed. While curiosity has long since been freed from sinful association, it has remained underrated, particularly compared to its relatives, inspiration and creativity, which both get far more airtime. Curiosity is naive, childlike, whereas inspiration and creativity suggest maturity, intelligence, even a gift. We are born curious beings. Between the ages of three and five, the average child will ask 40,000 questions. As kids, curiosity is effectively a survival technique; we have everything to learn to be able to understand and function in our world. Evidence shows that children begin to ask fewer questions once they're in school, which suggests a decline in natural curiosity. It's possible that kids are just focused more specifically in school, which is a component of epistemic curiosity. Or it's possible that the slow socialization out of curiosity begins in school, a competitive environment where we can be subtly trained to feel shy or embarrassed asking questions, concerned we will look foolish or stupid. As we age and become a function of our adult responsibilities, many of us become incurious. This too may be a survival technique; many of us don't have time to ask questions for the sake of learning something new when we have children to raise, bills to pay and careers to build. It's why so many of us are relegated to satisfying only our diversive curiosities by clicking mindlessly through the Internet. There's biology at play, too. Neurobiologist and Stanford professor Robert Sapolsky observed that around 40, he stopped trying new things, so he decided to find out if this was happening to others. He found that generally, by age 35, people stop listening to new music and spend the rest of their lives repeating the music they loved when they were most open to music discovery, which was, on average, ages 14 to 21. By age 39, if you haven't tried sushi, you likely never will. Sapolsky found that a similar drop off in trying new things happens in bears, baboons, cats, rats, to name some; growing incurious with age is not just for humans. Psychologist Todd Kashdan had long since studied anxiety. In those who suffered little to no regular anxiety, he found a prevailing trait: They were curious beings, which naturally made them more open to experience and connection. So he began studying what he calls oft-neglected curiosity and found it to be the bedrock of wellbeing. He says of curiosity: "...there are few things in our arsenal that are so consistently and highly related to every facet of wellbeing - to needs for belonging, for meaning, for confidence, for autonomy, for spirituality, for achievement, for creativity." Many of us care about boosting our confidence, achievement, creativity, sense of belonging and grasp on meaning. There are entire cottage industries built up around teaching us how to improve in these and similar areas. But in individually attacking each issue, are we simply addressing a symptom, not the root cause? If new research is showing that curiosity underlies most every facet of wellbeing, perhaps it is our curiosity that we should be reigniting and fostering. How? Well for starters, put down the smartphone. While our smartphones give us unprecedented access to information, it also can inhibit the opportunity for curiosity to grow; instantaneous gratification doesn't leave room for curiosity. When curiosity strikes, where effort and persistence were once needed to get to an answer or new understanding, the Internet now swoops in. When we repeatedly sever the link between curiosity and effort, we, over time, disintegrate our natural-born epistemic curiosity. And with it, we lose our natural-born thirst for knowledge and learning and prevent opportunities for our own personal and even professional growth. We devolve to routine, even ruts, with thinking that doesn't expand. In this month's TLV, we get curious about curiosity. We explore how reconnecting with our natural curiosity will make us more likely to achieve academically and professionally, garner more earning power and make us open to new opportunities, people, experiences and growth over the course of a life. How can we again become those curious kids we once were? Read on below to find out. "Curiosity is a willing, a proud, an eager confession of ignorance." No one is taking the word "cycle" out of the dictionary any time soon. If there is no perpetual prosperity, then there is also no perpetual economic decline. The reasons for both happening are often much more elusive than even the best and brightest can determine. Remember that in the middle of the last decade, our government and economic leaders all thought we had destroyed the business cycle. We had entered into a new Cinderella period of perpetual prosperity. Of course these experts were enormously wrong. A similar circumstance seems true today, with many economic pundits stubbornly clinging to a sky is falling perspective even as recent data shows growing corporate profits, employment and quite possibly even wages. Crawling the wall of worry has been a stock market phenomenon through numerous business cycles. It is only after the world seems assured that all is finally better when things seem to begin to turn the other direction. Has this always been the pattern of economy? Have we always lived in periods of insecurity, only to start feeling secure at about the same time security begins to wane? Is this the perpetual nature of economy, the reason we have to keep getting up each morning to a new day of challenge? What's most interesting is that economic security seems to be found by staying at least a little bit, if not a lot, insecure. Necessity may be the mother of invention, but it also may be the mother of get up and get after it. Today our economy is enjoying the fruits of years of enormous government stimulus added to the economic activity from our new oil and gas and energy infrastructure boom. We certainly haven't lost the Chicken Littles, so one might conclude that our current economic progress may have at least a bit more runway. But then might this writer's admission of our economy's resilience itself be testing fate? Stay insecure, my friends. As outlined in an article below, it has recently become ever easier for hiring organizations to find high quality talent. This is a significant improvement compared to just a year ago. Fed Chairman Janet Yellen suggests that the improving economy is bringing more of the best and brightest out from the ranks of long-term unemployment. That's a head scratching perspective. Why would any best and brightest settle for being long-term unemployed? The more likely scenario is that demand for those best and brightest has reached such a level that it is forcing wages to rise. 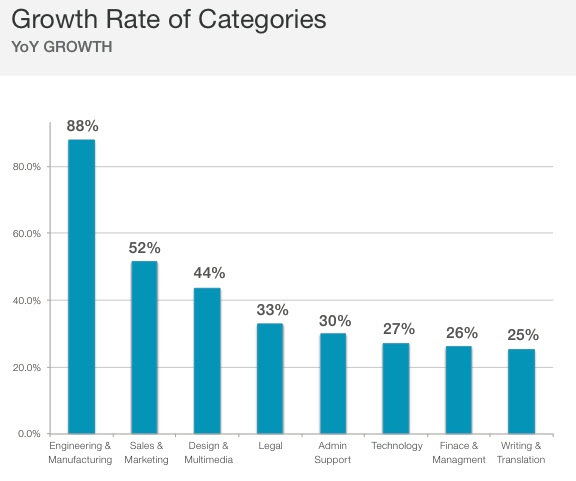 And with rising wages, top talent will become much more open to considering other opportunities. We can certainly see that in our Houston, Texas and energy infrastructure markets where the demand for top-skilled people has grown measurably faster than the supply. This is a natural consequence of every booming geography, every booming period. It's not just the cost of housing that rises, it's also the cost of people. Even in the lower, blue-collar market of restaurant workers in Houston, we see lots of help wanted signs. Rising wages is the number one key to rising overall economic prosperity. Remember that it was Henry Ford who decided to pay measurably higher wages to his workers so more of them could afford to purchase a car. And more of them did, which increased the demand for cars, which increased the demand for workers, which increased wages, and on and on and on. Economic expansions and contractions have a tendency to feed off themselves. For the time being, we appear in an expansion. Maybe not as robust as the 1990s, but for the moment, we should be happy that employment demand and wages seem to be rising. There really are very few impediments to any one of us figuring out how to take an old car apart and put it back together. There's no real reason any of us can't write our own smart phone app. Can't the person who understands financial statements also understand the recipes in a cookbook, or visa versa? We all have the capacity. What we don't believe we have is the time, which is true for the good many of us working 24/7 at our careers. But what seems even more lacking in our tool bag of capabilities is desire, particularly the deep desire to do or learn something new. Each of us is born with a genetic foundation. Some are born with more gifts than others. But at the end of the day, it is our individual desire that gets us from where we start to where we end up. More than 50% of all Fortune 500 CEOs did not go to Harvard Business School. What got those "less fortunate" to the top? It had to be desire. So when considering one's lot in life, when bemoaning what we don't have but wish for, we should consider our level of desire. Are we watching that golf match on television, or are we learning something new or looking for new ways to increase our professional success? What do you know more about, the statistics in your fantasy sports league, or the business environment that determines your level of personal success? Where is your desire focused? Compensation costs for civilian workers increased 0.7%, for the 3-month period ending June 2014. Wages and salaries (which make up about 70% of compensation costs) increased 0.6%, and benefits (which make up the remaining 30% of compensation) increased 1%. Compensation costs for civilian workers increased 2% for the 12-month period ending June 2014. In June 2013, that figure was 1.9%. Wages and salaries increased 1.8% for the 12-month period ending June 2014, compared with 1.7% in June 2013. Benefit costs increased 2.5% for the 12-month period ending June 2014, compared with a 2.2% increase in June 2013. Compensation costs for private industry workers increased 2% over the year. In June 2013 the increase was 1.9%. Wages and salaries increased 1.9% for the current 12-month period ending June 2014, the same as June 2013. The increase in the cost of benefits was 2.4% for the 12-month period ending June 2014, primarily due to increases in the cost of retirement plans. That figure was 1.9% in June 2013. Employer costs for health benefits increased 2.7% over the year, compared to 2.6% the year prior. Curious just how many people globally could reach for their smart phones or otherwise access the Internet to answer a question that pops up, we decided to look at smart phone and internet usage penetration through 2013. 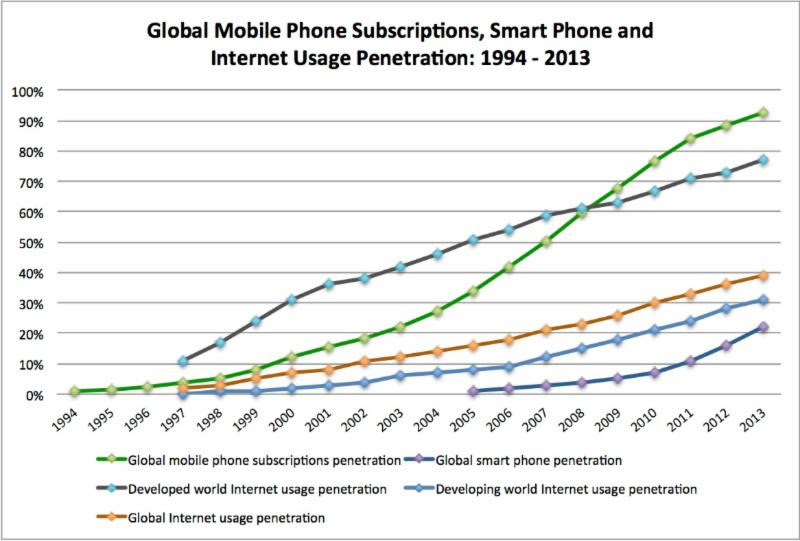 Smart phones are only just over 20% of all mobile phone subscriptions, but given their penetration growth rate of 100% in two years, that they will become the majority of mobile phone subscriptions seems inevitable. Of course, smart phones are only a possibility where there is affordable Internet access. And the developed world remains ahead of the game here, with a 77% Internet usage penetration in 2013. The developing world's Internet usage penetration is at 31% and growing annually at a decent and steady rate. For context, we looked at mobile phone subscriptions as well, which includes both smart phones and regular mobile phones (without Internet capacity). Keep in mind that this data doesn't correct for people who have multiple cellular subscriptions. The growth in mobile phone subscriptions is still staggering: At the end of 2012, there were 6.4 billion global cellular subscriptions. Just ten years ago, that number was 662 million. That's 866% growth in just one decade! until he has stopped asking questions." Psychologist Todd Kashdan, author of Curious? : Discover the Missing Ingredient to a Fulfilling Life, found a close link between curiosity and the personality trait, openness. Openness is the most consistent predictor of professional success, creativity and our ability to embrace new ideas. The power of curiosity exists in how it helps people approach the uncertainty of life with a positive attitude. Those who move through uncertainty, rather than run from it, can reap its benefits of new knowledge-seeking and personal growth. Key to this behavior is seeking knowledge; the highly curious are aware of when moments of curiosity strike, and instead of missing them, they ask questions. To improve awareness of your curiosity, pay attention to when you feel uncomfortable. This often indicates you are out of your comfort zone and, thus, there is something new to learn or experience. To find out what it is, all you have to do is follow your curiosity. 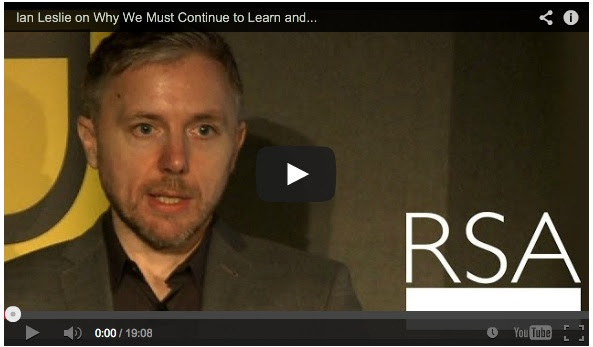 Ian Leslie, author of Curious: The Desire to Know & Why Your Future Depends On It, explains in the RSA talk linked below why curiosity is so critical in today's world and how you can reignite your own. He starts by referring to a simple, yet profound definition of curiosity: It happens when you face an information gap. This implies that for curiosity to occur, you must already have some piece of knowledge, and then you encounter some sort of bait that makes you want to know more. 1) Build the database. The more knowledge you acquire, the more you will want to know (a fundamental principle of curiosity), and the more connections you can make between pieces of knowledge in your head - this is why curiosity is the wellspring of creativity. 2) Hunt like a foxhog: At work, we can be specialists or generalists. Foxes know several survival tactics, where hedgehogs know just one (spikes up when attacked). The highest paying jobs of today and the future exist in a newly complex, interdependent and global world where collaboration is critical. The most successful and highest earners will be both a fox and a hog: They will know a lot about one thing and a little about a lot of things. 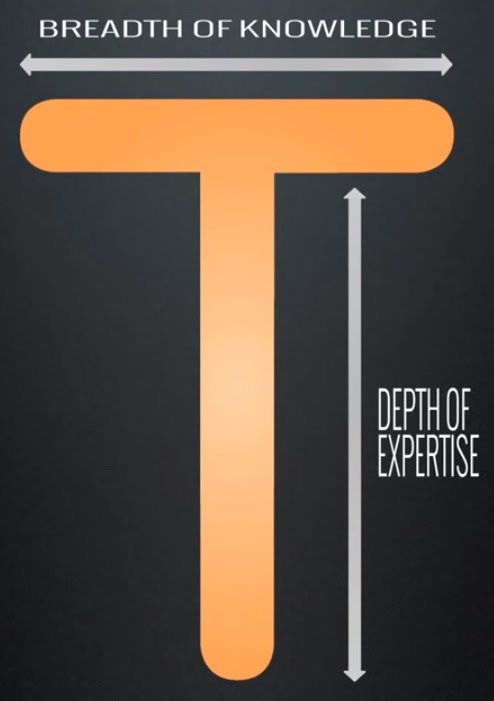 Leslie calls this type of curiosity-driven knowledge "T-shaped." He points out that curious people make for better collaborators, as they tend to know a little about the other factors in a collaboration. 3) Question your teaspoons: To the curious person, everything is interesting. French writer George Perec wrote about the power of getting curious about the mundane, the things that are so familiar to us they become invisible. He called such things the "infraordinary," the opposite of the extraordinary. (Using the infraordinary for ideas is a common tactic of comedians; Jerry Seinfeld was recently quoted saying, "Chairs are inherently amusing.") Get curious about the things you normally don't see and you'll find yourself wanting to learn more. Google fields 60,000 questions per second. That's a lot of reflexive Google searching. 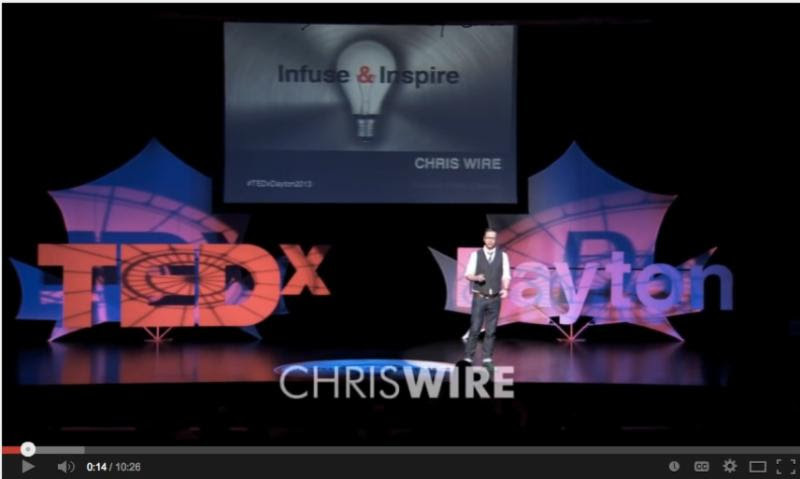 While the Internet has an incredible power to inform, Chris Wire, who studies innovation, reminds us that we are far smarter than Google. Google gives unimaginative data as answers, where we have the ability to think curiously, to be creative and to deduce. Wire suggests using Fermi problems - estimation problems solvable with just basic math, logic and life experience - to exercise your "curiotivity" muscle. A classic Fermi problem is, how many piano tuners live in Chicago? To deduce an answer, begin by asking related questions, e.g. how many pianos can a piano tuner tune in one day? By asking more questions, we are reminded that creativity isn't always about finding the right answer, but a new answer, which removes some fear in relying on ourselves for solutions. Next time you have a question, pause first to reflect on a possible answer before reaching for your phone. Why not incorporate Fermi problems into your life? Like at the dinner table with your family, to keep the curiotivity muscle toned. Here's a good question to start: What's the circumference of the Earth? How can we figure that out without immediately going to Google? 1) Acknowledge that it is your job: Believe you have the power to elicit curiosity from your team and remember your leadership affects success or failure. 2) Factor curiosity into hiring: Ask candidates questions like, "Describe the last time you pursued a curiosity at work, and what was the ultimate outcome?" 3) Create a micro-climate where curiosity can flourish: Where possible, instead of the expected office decor, fill your office with found objects, interesting books or memorabilia to spark conversation and imagination. 4) Make curiosity a company-wide habit: Advertising firm Sparks and Honey hosts daily, hour-long meetings where the staff and outside guests gather to trade culture and trend observations. The cross-pollination of ideas regularly leads to new insights that bring their clients more value. 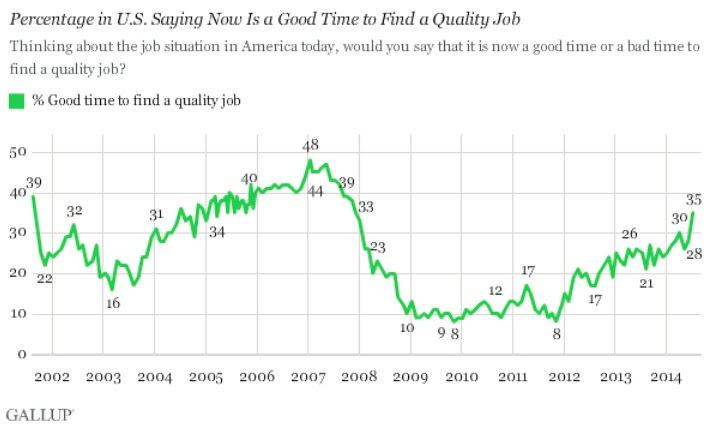 According to new Gallup data, 35% of Americans believe that now is a great time to find a good job. Currently, 43% of Democrats say now is a good time, compared with 27% of Republicans and 34% of independents. In August 2001, when Gallup first asked this question, 39% felt it was a good time to find a quality job. This number peaked in early 2007, before the Great Recession. Could the optimism for good jobs signal a peaking economy, or do we still have ample runway before the next downturn? The National Association for Business Economics (NABE) recently released its Business Conditions report. Data showed that in the second quarter of 2014, only 22% of respondents struggled to find skilled workers, a big drop from the 33% who reported the issue a year ago. Of skilled workers' sudden emergence after a supposed multi-year disappearance, Brookings Institution Economist Gary Burtless cites another finding of the NABE study: After years of barely keeping pace with inflation, wages have begun to rise. "What's always surprised me," Burtless said, "is the business journalists who decline to ask the obvious follow-on question: Have you tried offering them more money? Better benefits?" Another possible explanation is Janet Yellen's expectation that some discouraged workers would return to the workforce as the economy improved. Wages have largely stagnated since the recession (until recently, perhaps). 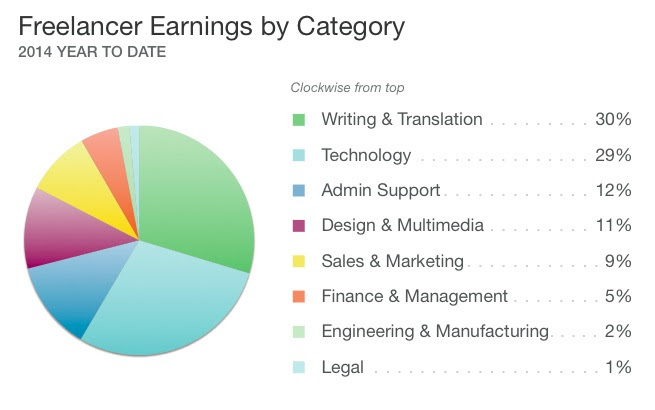 Additionally, the average raise an employee can expect in 2014 is 3%. With inflation at 2.1%, that raise is not even 1%. Savvy workers are finding that job-hopping is a far more efficient and effective way to find a meaningful increase in salary. There is an apparent life-long benefit of frequently establishing a new and higher pay floor from which raises can build and earnings can exponentially grow. This may be great for the personal pocketbook, but what does it say about future productivity if everyone turns into a job hopper? Aware that the new economy demands a new kind of leader, Claudio Fernández-Aráoz, an expert in talent spotting and management, identified four indicators of potential for leadership in today's world. Key to his list is not just the right skills, but also a demonstrated capacity to master new skills. 1) Motivation: Not mere ambition for themselves. Rather, the commitment to continual personal performance improvement. 2) Curiosity: Eager for feedback, open to new ways of learning and thinking. 3) Engagement: Enthusiasm for vision. Ability to connect both emotionally and logically with people. 4) Determination: Tenacity to battle towards difficult goals and bounce back quickly from setbacks. "One in five people in their 20s and early 30s is currently living with his or her parents. And 60% of all young adults receive financial support from them. That's a significant increase from a generation ago, when only one in 10 young adults moved back home and few received financial support. Those who graduated college as the housing market and financial system were imploding faced the highest debt burden of any graduating class in history. Nearly 45% of 25-year-olds, for instance, have outstanding loans, with an average debt above $20,000. And more than half of recent college graduates are unemployed or underemployed, meaning they make substandard wages in jobs that don't require a college degree." That is the stunning start to this New York Times Magazine feature about people in their 20s still living at home. Is their experience a mere blip, just bad timing luck? Or is it part of a larger trend that dates back to the 1800s of continually extending the upper bound of childhood - a function of an economy that has undergone several tectonic shifts in short spans of time? And is this new shift possibly leading to two parallel economies existing side-by-side, creating very different sets of circumstances with life-long effects for people? The average U.S. hourly wage for online work is $23.85, on par with $24.31, the average hourly wage of private, non-farm employees.